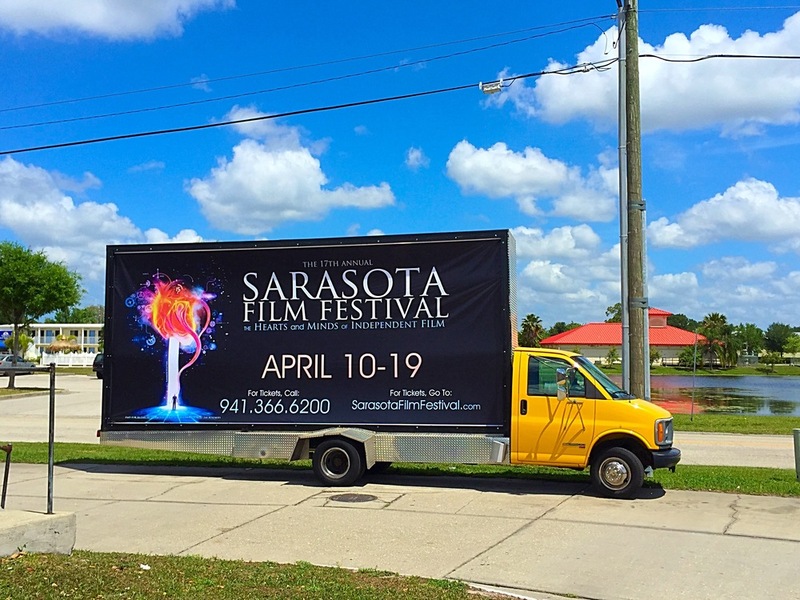 Mobile Billboard Miami traveled about 175 Miles west from Miami, Florida to cover the 17th Annual Sarasota Film Festival. 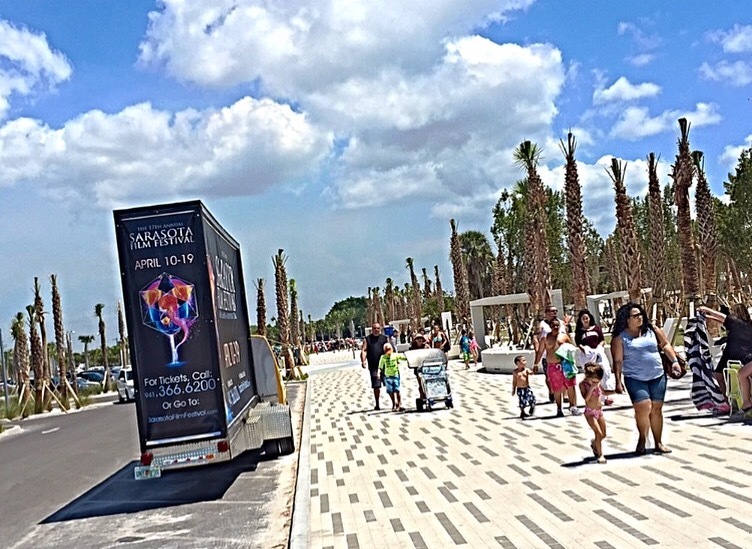 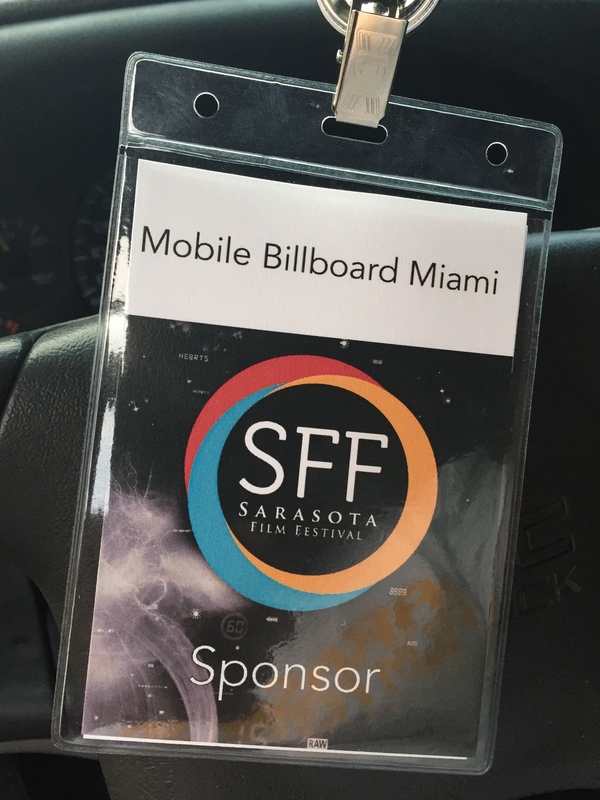 Mobile Billboard Miami provided over 120 hours of advertisement during the course of 12 Days. 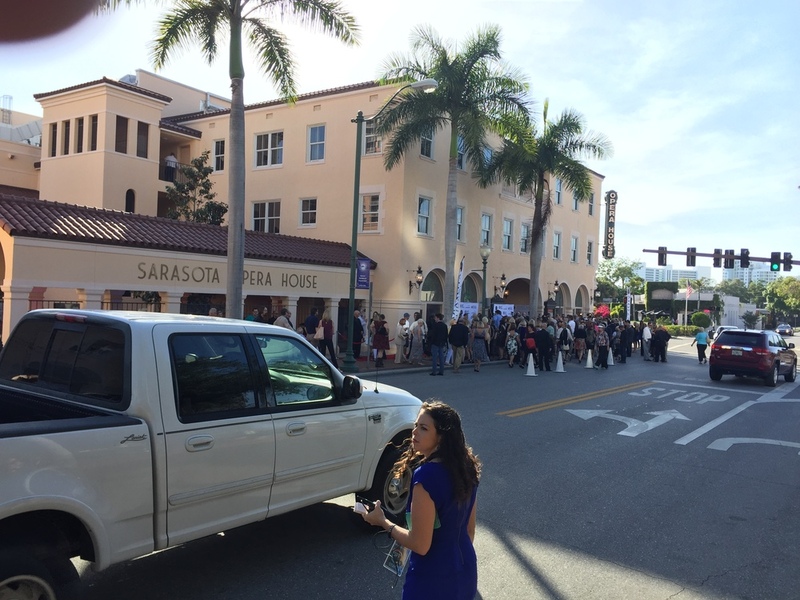 From being outside the red carpet , it's packed beaches , and during evening events where are trucks were backlite. 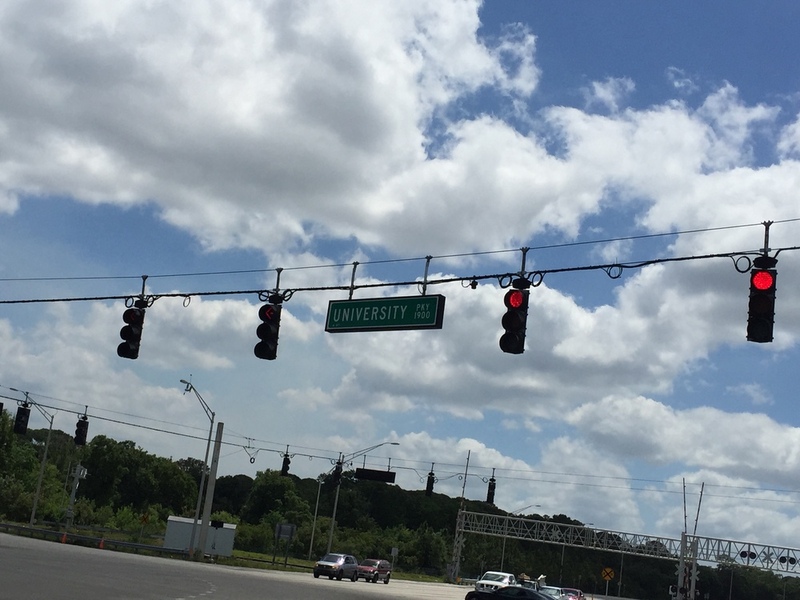 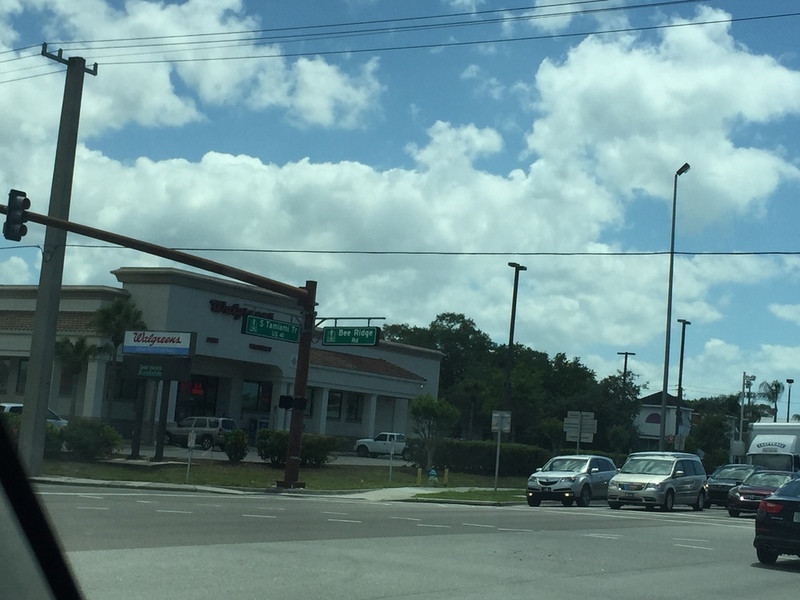 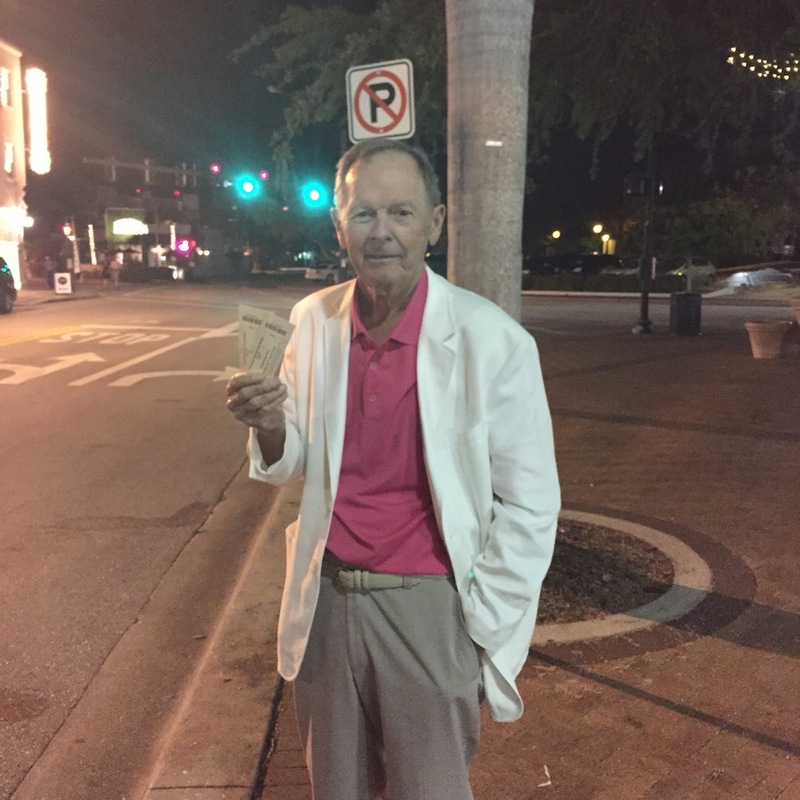 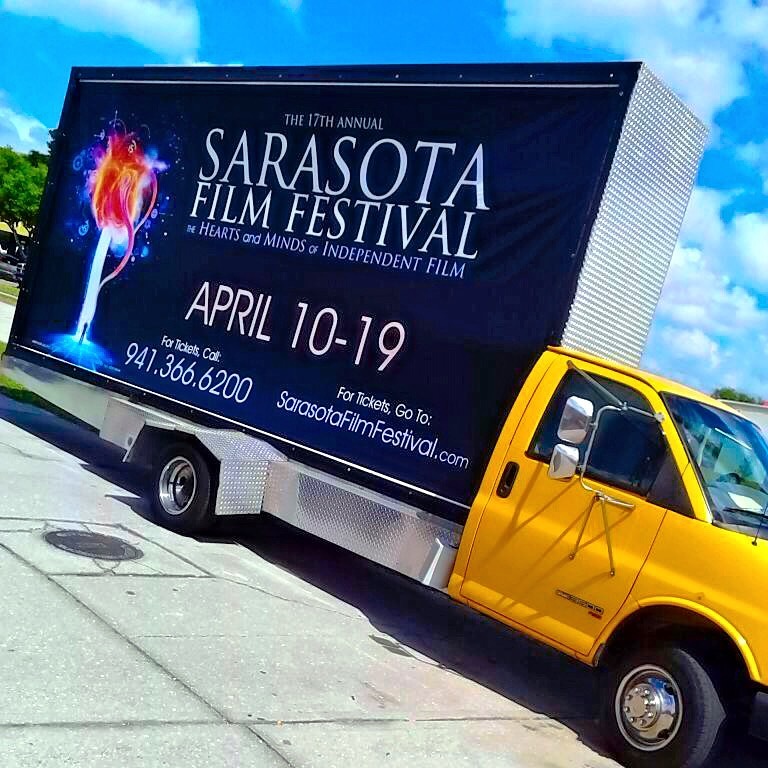 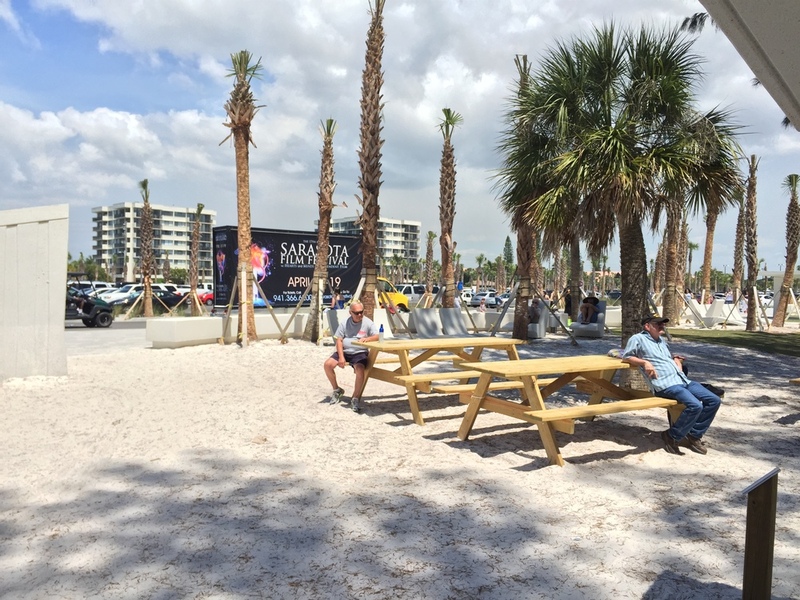 From the blazing sound of music and the film festival audio commercial coming from the outdoor sound system , consumers of Sarasota had no choice but to ask "Where's the film festival? 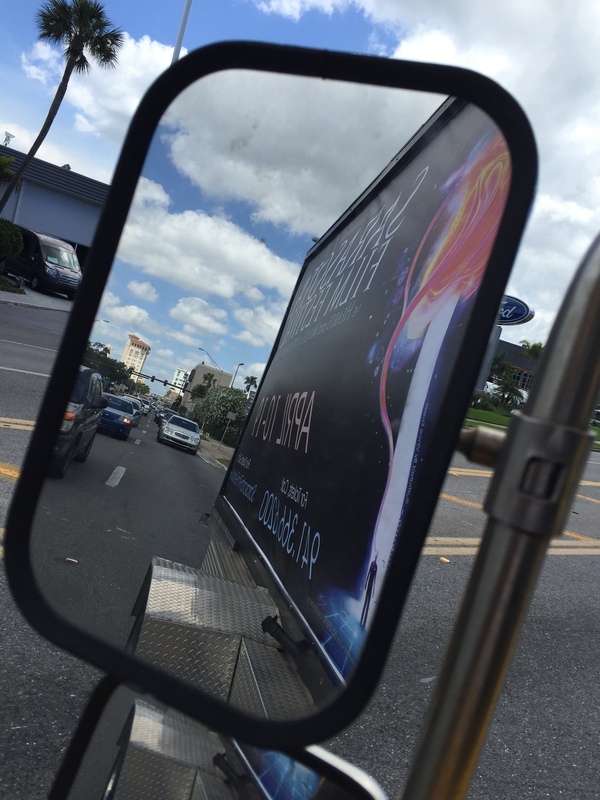 And What's showing tonight? " 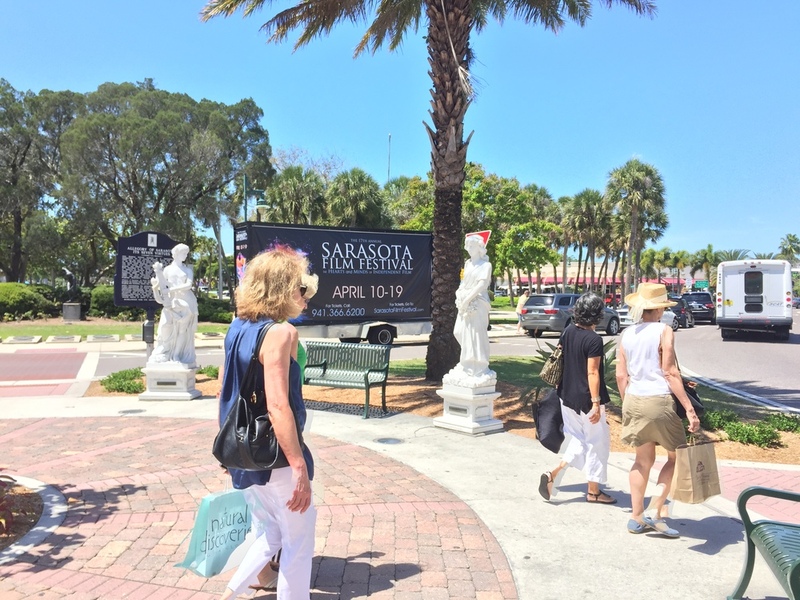 Mobile Billboard Miami had a wonderful experience in Sarasota and we look forward to next year. 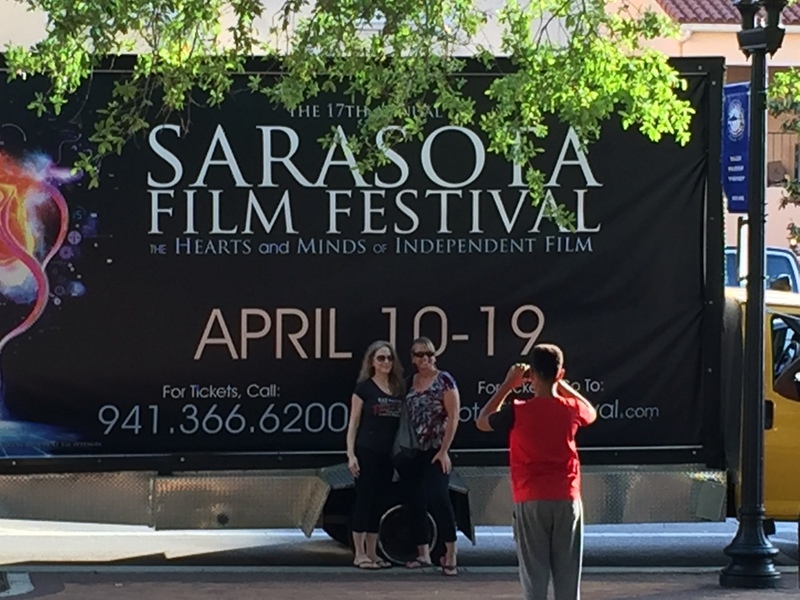 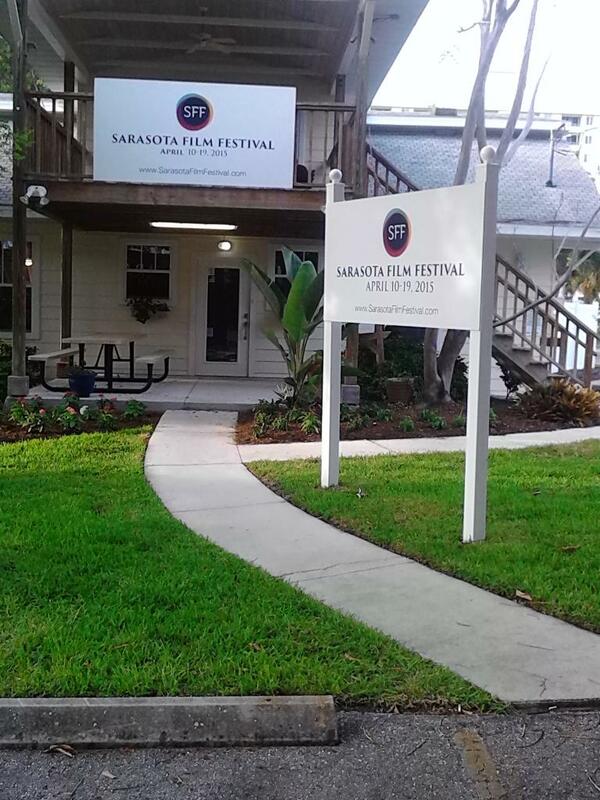 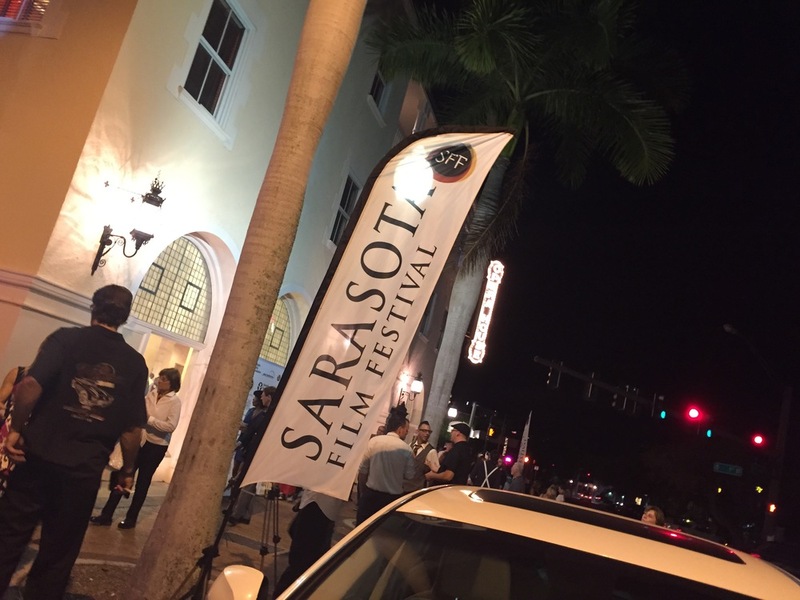 We would like to thank the entire staff of Sarasota Film Festival 2015.